I'm looking for recommendations for an outdoor motorcycle cover that will fit a Versys-X300 that has a Shad SH26 top case and SH23 side cases. My son who owns 75% of our Versys-X 300 likes to ride it to high school and leave it sitting in the rain all day. Also, he plans to take it to college next year and leave it parked outside in the spring and fall. He needs to get a good all-weather cover. Don't forget that putting a rain-cover over a HOT motorcycle could cause it to melt. CheesyRider and miczat like this. Good point! I'll make sure he gets something with a heat resistant panel. 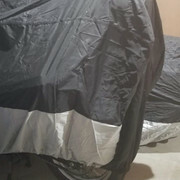 The 3rd one in the video, the Dowco Guardian Weatherall Plus Motorcycle Cover, seems like a good contender. Looking at the size chart, the LG seems like the size to get since the bike has a top box. I have the Dowco Guardian that I used for several years with my old bike. 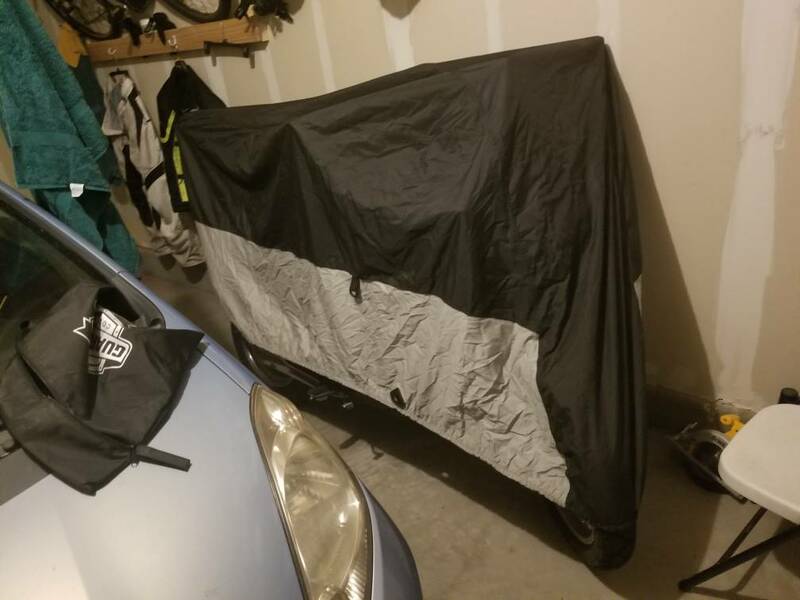 It's a very well made cover that worked very well to keep my bike protected from the elements for the couple years it was parked at my old apartment. It is the medium size, and just for ****s and giggles, I tried putting it in the 300. Keep in mind I have a pelican case knock off as a top box. To get it over the bike, I had to start at the back and work it down a little. It did not quite cover the bike, so I bet a large would work pretty well. 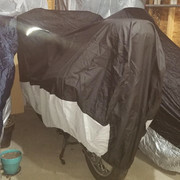 So, I finally got the large Dowco Guardian Weatherall Plus motorcycle cover. It might have been an okay fit if I didn't have a top case. I'm going to return it and try the XL. 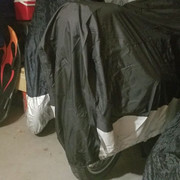 I received the XL Dowco Guardian Weatherall Plus motorcycle cover yesterday. It isn't a perfect fit. There is some excess material in the back. But, I don't think I could find anything that will fit better, so I plan to keep it. I might get a strong clip to keep the excess material from flapping in the wind. "Don't forget that putting a rain-cover over a HOT motorcycle could cause it to melt." Damn... I've never seen a motorcycle melt before!! !